This post is Part 1 of a series to augment the Author's Manifesto available for free download. 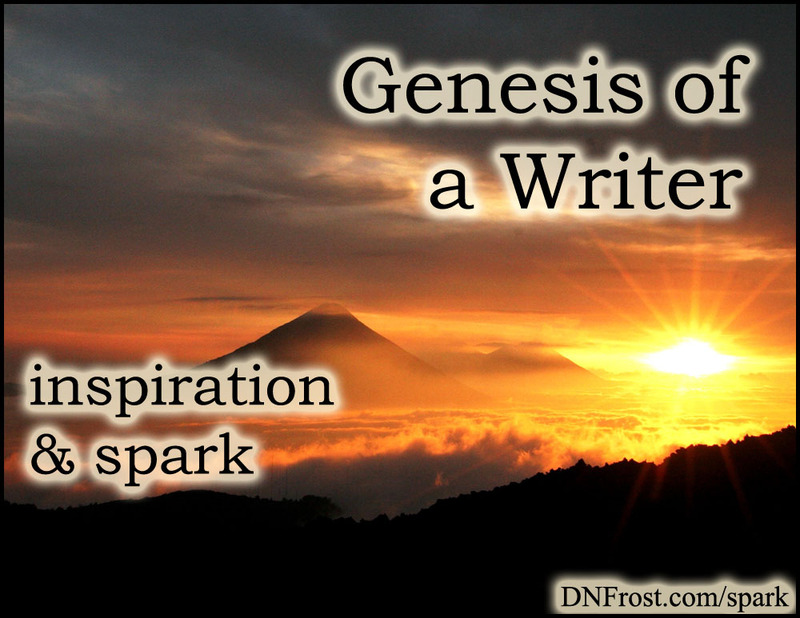 This and other inspirations of mine are gathered in the Spark Directory for you to explore. I wrote my first story in 6th grade, and it was based on a dream. That morning, I woke from an unfinished storyline and tried to piece the fragments into a real conclusion. Truth be told, I wanted to know how the dream ended. After ironing out the biggest plot wrinkles in my head, I slipped out of bed and up to the old family computer. By slow hunt-and-peck typing over the whole day, I documented my 11-year-old adventure with a sense of rapture and shame. It brought me such joy, and yet I knew it was terrible. I wanted to share my story, but I knew the piece was too ridiculous, too personal, too vulnerable to release into the wild. But I wrote it anyway, tucking it far from the light of day--alongside my leprous first poem--and resolved to write down my dream-stories as they came to me. In those days, I had no aspirations beyond capturing the adventures that flickered through my sleeping circuits. Check out this Author's Manifesto for more of my inspirations! Though I started sharing poetry in my preteens, I couldn't corner a single taker for any of the half-written stories off my growing stack. Poetry was easier to share with others, but the satisfaction I gained from storytelling outweighed any poem's easy payoff of smiles and thumbs-ups from friends. My young manuscripts ranged from contrived dialogue to vacant plotlines and overwrought paragraphs. I'd written all the wrong details, clustered up in beleaguered parcels and lugged from one scene to the next. But I loved the stories they smothered, and no one was reading them. An audience, the most essential component of storytelling, was missing, and I yearned for it. Long before my Tales of the Known World saga connected me with readers worldwide, I ached for a way to reveal my writing to others. You can download the Author's Manifesto here, or start your adventure below.